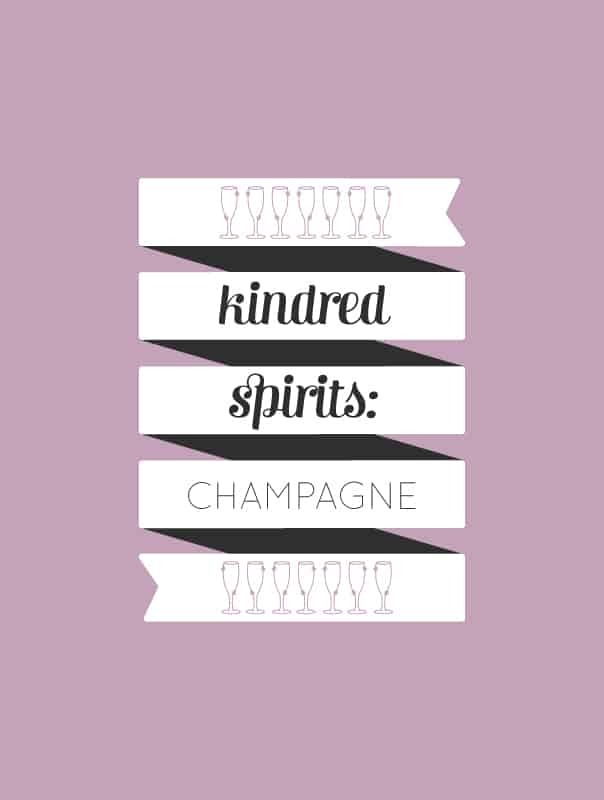 Champagne, cava, sparkling wine, prosecco, asti, bubbly… Whatever you call it, I’m excited to announce it’s this month’s Kindred Spirit. And fine, if you want to get into semantics, I suppose sparkling wine isn’t technically a spirit like bourbon or tequila. But it’s still a key ingredient in many cocktail recipes, so I’m covering it anyway. March is a celebratory month for me because it’s also an important birthday month in my family. There is always sparkling wine of some variety. 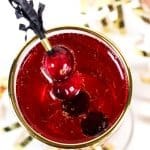 This month, I’m celebrating with some of my favorite cocktails made with some sort of bubbly. 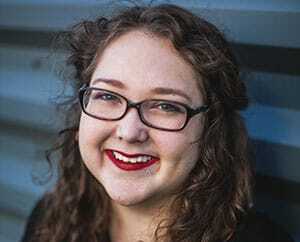 Before I get into them, we need to know more about how sparkling wine is made, where it comes from, how to drink it and what kinds you can buy. Pop the cork! 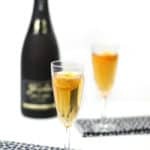 Champagne used to rule the roost in the land of sparkling wines, but now there are tons of great options we can access. It is made in countries all over the world, from various kinds of grapes, through different methods. It’s certainly overwhelming, especially if you don’t know what to look for. It is made in a long, multi-step process, which contributes to the hefty price tag. 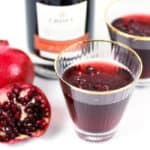 First, it’s made into a low-alcohol still wine and then it is bottled and capped, where it undergoes a second fermentation with a little added yeast and a bit of sugar for weeks to years. (Again, why it’s pricy.) The yeast converts the sugar into alcohol, and natural carbon dioxide forms as bubbles. The bottles are stored upright at first, then the bottles are slowly turned and lowered in a process called riddling. When the bottles are upside down, meaning the spent yeast has moved into the neck of the bottle. Next, in a process called engorgement, the cap is popped off and the pressure inside the bottle pushes out the spent yeast. More sugar and a bit of wine are added before the bottle is finally corked and muzzled with a wire cage. To be called champagne, this sparkling wine must be made exclusively in the Champagne region of France, which is to the east of Paris. There are three kinds of grapes that can go into champagne: the white-skinned chardonnay grape and the red-skinned pinot noir and pinot meunier grapes. There are also tons of alternatives to champagne from other countries and with price tags that are often less expensive. You may substitute any of them for champagne in a cocktail, but it’s a good idea to taste any sparkling wine before you mix it to make sure the flavors won’t compete. Prosecco: A dry or extra-dry Italian sparkling wine traditionally made with the Glera grape. Its second fermentation takes place in stainless steel barrels. 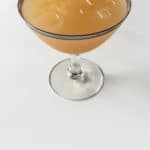 It is the most common substitute for champagne in cocktails. Moscato d’Asti: Another Italian sparkling wine, made in the province of Asti in northwest Italy from the Moscato bianco grape. It is a dessert wine, sweet and low in alcohol. Spumante: Also known as Asti or Asti Spumante, this is an Italian sparkling white wine made from the Moscato Bianco grape. It is a dessert wine, sweet and low in alcohol. Cava: A Spanish sparkling wine produced in Catalonia. It can be white or rosé and it’s traditionally made from the macabeu, parellada and xarel-lo grapes. Crémant: A French sparkling wine known for its creamy, not fizzy, texture. It is traditionally bottled with a lower carbon dioxide pressure, so there are fewer bubbles. Champagne flutes are designed to be tall, narrow vessels to help retain the carbonation as long as possible. The trumpet shape also keeps hands away from the bowl to maintain the cold temperature. Chill sparkling wine several hours before using. Always be careful when opening a bottle of champagne. Do it over the sink or outside, away from people and fragile things. Keep glasses nearby to catch any spills when opening. Sparkling wine is one of my favourite things in life! I haven’t heard of some of the regional Italian varieties. I am mostly a cava kind of girl. Prosecco is by far the most magical drink on this planet. I could live off of it! I recently told Edward that he should start bringing me home prosecco instead of flowers. Here’s to hoping that will catch on! The lavender champagne cocktail looks wonderful. I’ll have to give it a try.